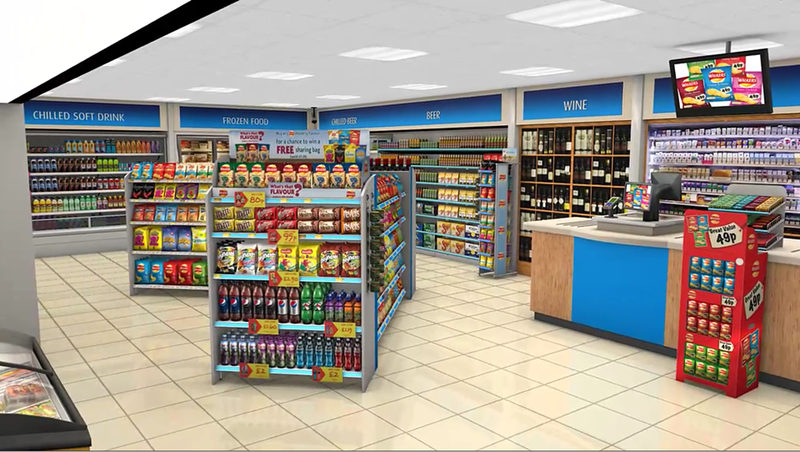 We’re currently working on a 3D store walkthrough for Pepsico. This is an update to one of the 3 previous store environments we created for the client, the aim is to show the store insights for buyer impulse purchasing. A single walkthrough path runs through the virtual store and pauses on each insight where a popup info box appears.